A little girl from England was all smiles last week after receiving a new best friend that looks just like her. Harmonie-Rose Ivy Allen, 2, of Bath, was gifted an "American Girl" doll named Rebecca on July 31. Like Harmonie, Rebecca is a quadruple amputee. "She just said, 'Mummy, she's just like me,'" Harmonie's mother, Freya Hall, told ABC News. 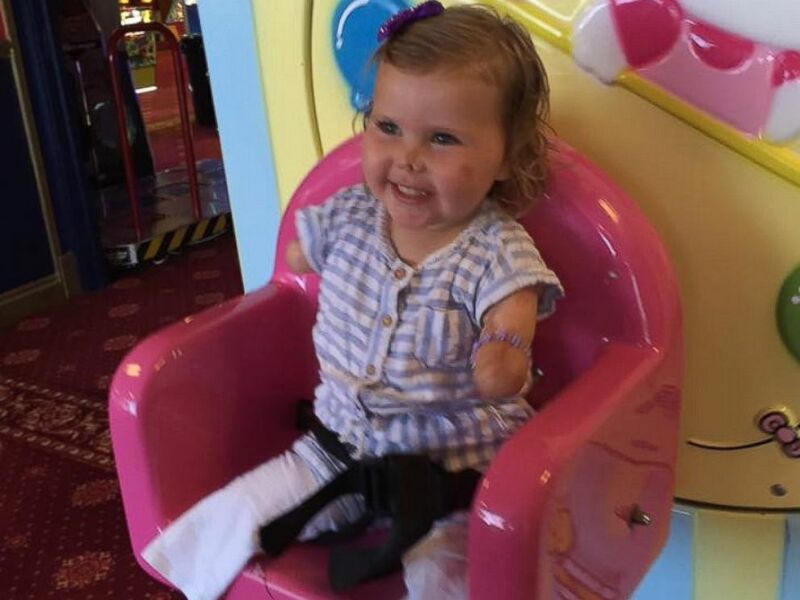 "She loves to take the arms and the legs off and they love to sit next to each other without the prosthetics on." Harmonie-Rose Ivy Allen, 2, of Bath, England, who lost her limbs from meningitis B at 11 months old, received an American Girl doll on July 31 that "looks just like her." Harmonie fell ill with meningitis B when she was 11 months old. Despite doctors’ giving her a less than 10 percent chance of survival, the toddler persevered. But Harmonie had to have her arms and legs amputated 10 days after she took her first steps, her mother said. "The doctors were unsure what her future would be like and if there was any brain damage, but right now Harmonie seems to show no brain damage," Hall said. "I love her inside and out. There's nothing you can't love about her. She's beautiful, funny, smart and she never gives up. She is just so loving. She is quite upfront, too. I have seen her introduce herself to another child by saying, 'I'm Harmonie and I have no hands.'" With her daughter's 3rd birthday approaching in November, Hall enlisted the help of a friend in New York to arrange for Harmonie to have a doll from the "American Girl" store in Manhattan. But when Hall's friend brought Rebecca the doll back to England, Hall decided she couldn't wait to give it to Harmonie. "Harmonie has never seen another quadruple amputee, so it's amazing to show her that she's not the only one," Hall said. 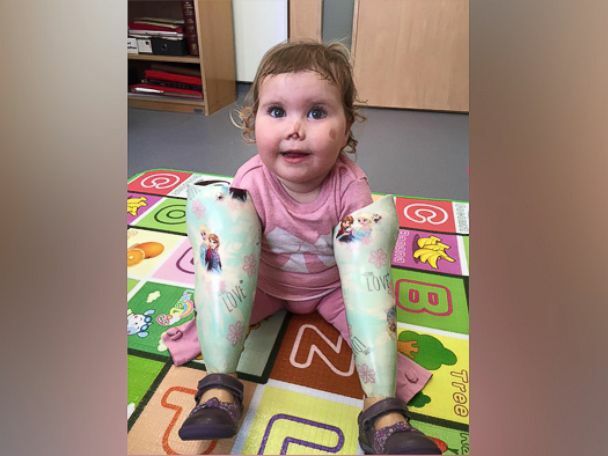 "I'm hoping it will encourage her to go on her prosthetic legs a little more too. At the moment, Harmonie sees her legs more as a hindrance rather than something that will help her. She added: "I think Harmonie and Rebecca will be the best of friends."